If you are coming from a family with an addicted member, you definitely know that the effects of addiction are very devastating. In real sense, addiction is actually a family disease. When one member of the family is unable to control his drinking or drug taking habits, many things changes around him and coping with the other members of the family or friends becomes a major problem. During the time of active addiction, family members become so hurt, and they end up yelling, blaming and belittling the addicted member. Trust is broken and many people tend to give up on the addicted member. 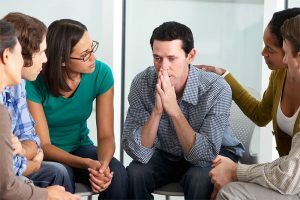 The relationship between the addict and the family members need to be mended if the addicted person is to be helped out of the substance abuse problem. Every type of a family, whether extended, nuclear, single, multigenerational or foster families are affected by addiction in one way or the other depending on the family structure. There are many social issues that coexist with drug / alcohol addiction and these issues need to be thoroughly addressed to help families improve their relationships with addicted members. Depending on the severity of addiction, family members can be affected by addiction in different ways. For instance, in severe cases of addiction where the victim is abusive and violent, immediate or extended family members may feel insecure staying along with the addict and to some point they seek legal protection because they feel threatened. In other cases, especially if the addicted person is a teenager or young adult who is not financially stable but must find means to get money to buy drugs, they end up stealing money and properties from their immediate family members or friends. This act badly affects ties between family and the addict. There are some other cases where the addict neglects his personal grooming responsibilities like maintaining cleanliness and some end up stinking. It becomes hard for the family to cope with the situation and they prefer to stay away from the addict because they feel ashamed and let down. School-aged children who engage in substance abuse and end up discontinuing with education will definitely experience bad relations with their parents, siblings and other members of their family. Spouses who engage in alcohol or drug abuse and neglect their family responsibilities also experience relationship issues with their families. Such spouses suffer from guilt and resentment and other mental problems. The relationship between adult children and their addicted parent makes them act in denial seeking to protect themselves from the parent(s). These children behave in a way that is not age-appropriate because they suffer from parental deficiency and they’ve got no one to stand in the gap. So many things happen in family relationship with an addict. Aging parents may develop dependent relationship with their adult children who are addicted to substance use and all these impacts continue from one generation to another if proper measures are not taken. What happens, the intergenerational effects of addiction pose negative impacts on trust and role modelling and this can affect family relationships between generations. Since in most cases a person who is addicted to substance use becomes unreliable, friends and family are normally called upon to support financially and in different ways to share the workload, issues of resentment arise. As a result, the addicted members become isolated from their families causing them to establish strong relationships with their companions who are involved in drug/alcohol abuse or other antisocial activities. In this scenario, what they can do best is to reinforce and support the behaviours of each other. Why Is It Important To Build Family Relationships With An Addict? Drug / alcohol addiction is a serious physical and mental health problem. Due to lack of control over substance use the addict end up doing lots of messes and he/she loses trust from close friends and relatives. Substance dependency affects a person’s lifestyle in a negative way and he loses focus and attention to his family, profession and relationships. Due to the distance created between the addict and the close relatives who are supposed to help him, he might feel helpless and neglected and his condition can worsen. It’s true the damage and pain caused can take a long time to undo but the family must be willing to work along with the addicted person and offer every necessary support needed. As the addict is expected to portray change, family members should be willing to change as well. Mature family relationship with an addict is what every family is supposed to work on if preferable results are to be achieved. Reacting to feelings and emotions can only worsen the relationship. In the journey towards recovery, the addict is expected to quit drugs or alcohol while the family is expected to remain focused and show maturity in their relationships to help the addict to recover. Is It Possible To Repair Relationships After Addiction? Addiction has the potential to destroy an individual’s life and health in a negative way and it leaves a lot of damaged relationships. If a family finds the right kind of help, it becomes possible for them to repair the broken relationships. Living with an addicted person causes stress to the family and this affects family life and routine in a great way no matter the kind of drug is being abused. Different family members handle the situation in different ways. Some are willing to help even when they notice that their member in active addiction or recovering from addiction is not being honest while others opt to take tough stances on them. 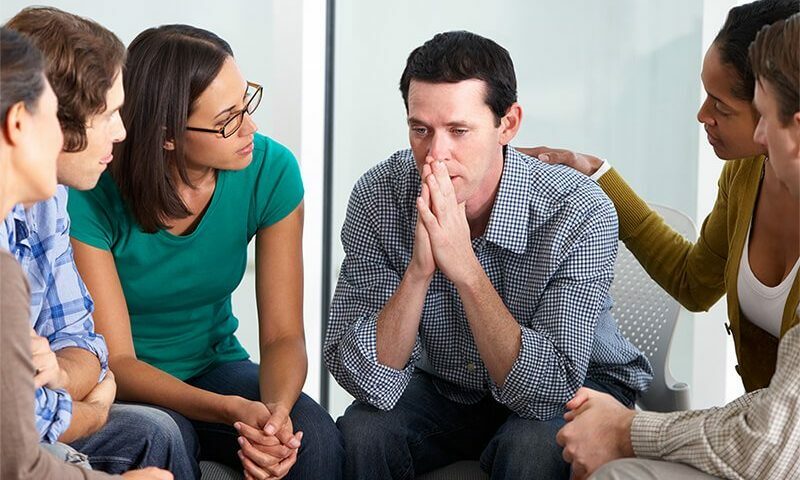 In order to prevent arguments and conflicts within families on how to handle a family member struggling with addiction, families should agree about the best way on how to deal with their addicted member. It is therefore very possible to repair relationships after addiction. A family that cares for one another is most likely to notice when one of them drifts away and gets engaged in alcoholism and other illicit drugs. The best thing to do is to find ways to help that person before the addiction becomes severe and difficult to handle. After experiencing chaos, disappointments, frustrations, anxiety, stress, depression and fights as a result of having an addicted member of the family, it is important to find the best treatment program for him. The family should be ready to carry the financial burdens offer any support needed till successful long-term sobriety is achieved. Healthy family relationship is key towards a safe and healthy recovery. Family must establish strong bond with the addict so as to give him the assurance of love, acceptance and value. Their acts of kindness and not being judgemental or mad at their member in active addiction helps him feel valued and he will do all what he can not to let the family down. The family should be the last people to throw hands in the incident of having an addicted member. Remember, it is possible for friends and co-workers to give up on their colleague who has become less productive or inactive but family should support him to the very end. In severe cases of addiction, it can be quite difficult to establish good relationship with the addict because their lifestyle changes may be completely difficult with yours. it is therefore advisable to find professional help from your local rehab centre where he’s taken through the recovery process. The doctors offer a lot of counselling programs and this works perfectly to help the patient develop positive relationships with family and friends. Recovering from an addiction is not an overnight event. It is a tough journey that calls for patience and focus. While trying to amend relationships ruined during the period of active addiction, you need to be very patient with him. The addict will apologise a lot for the past mistakes but he might find himself repeating the same. This does not mean that he will not overcome the situation. It is just a matter of time and he is able to bring his life back on track. Therefore, be ready to forgive as many times as possible and always celebrate the small steps you are taking daily. Can Trust Be Rebuild In Recovery? Rebuilding trust with an addict is one of the toughest decisions a family can ever make. It is very possible but it takes some time. Let’s be real! Before the addict gains sobriety, he will lie to you, steal from family and friends and try as much as possible to hide the addiction. This is very normal and it is happening every day. Just be a little bit patient with him and try the best you can to help him out of the addiction. In order to establish healthy discussions with the addict, it is very important that a family learn how to communicate effectively. Establish a language and style that will keep both of you in good terms. In the rehab facility, addicts are taught the effective communication skills and healthy ways to deal with conflicts without the influence of drugs. Remember, during the time of active addiction, the person used drugs to handle any stressful situation. Now when they are working towards sobriety, it becomes harder for them to handle challenges or even concentrate without drugs. This can take some time but it will eventually come to an end. It might be a little bit harder for you to establish a strong relationship at this point because you don’t expect the person to change overnight. Allow the addict to take gradual steps to sobriety and your relationship will be rebuilt step by step. To avoid disputes, don’t wait until the debate gets too heated. Remember, you are the one who is sober and you are the only one who can take charge of the debate. Use of effective communication skills is very important in every family. Depending on the direction the discussion is taking, you can even opt to change the topic to curb the situation. Eliminating unhealthy relationships is one of the best ways to prevent relapse. Remember, if proper physical and mental support is not given, the addicted person in recovery might enter a relapse and things might worsen compared to when he was in an active addiction. Building a strong and healthy family relationship is one of the biggest investments ever. It costs much to build a thrilling family relationship and we cannot just allow addiction to carry away what we’ve invested in all our days. When people start alcohol / drug abuse, they separate themselves from family and friends and end up losing interest in activities they were being actively involved. As a family, if you just watch and see such things happen and no steps are taken, it is quite unfortunate that you might lose connections with a person you loved most. So, make sure you do something immediately you notice a change in behaviour from any member of the family. Though many people are in denial and not many will freely tell you that they are taking drugs or alcohol, family should try as much as possible to find help for their addicted member as early as possible. In the initial stages of addiction, it is easy and cheaper to treat the condition and help the member cease drugs / alcohol the soonest time possible. Can We Change How We View Addiction? Some decades ago, addicts were viewed as a social outcasts in many parts of the world. Family and friends would separate themselves from them and thus many relationships were broken. In the current world and with every effort done to create awareness on drug/alcohol abuse, alcoholism or drug addiction is now viewed in a different manner. At least people now understand that addiction is a medical condition that can affect any person across all walks of life. Therefore, no one can dare point fingers on the addicts because no one knows what tomorrow holds. When we view addiction from this angle, we will stop being mad at them or even judging them. Instead, we will find ways on how to help them out of the mess. Drug addiction being a serious physical and mental health disorder can be complicated to treat. When a family takes their loved one to the hospital for medical intervention, they need to be aware of the life-threatening withdrawal symptoms. At this point, your support as a family matters most if the person has to recover. Remember you are helping him out to start a new lifestyle and he is going through a lot of pain, anxiety, stress and depression and he’s not pretty sure of how life will be without drugs. He’s so disturbed about his relationships and who his new friends will be. Due to all the things running across his mind, he needs your support to help him know that he has a place to call home and people who will stand by him no matter what happens. In order to reduce risks of a relapse, a strong, positive family relationship is important. Relapse can happen once or more no matter how much support and treatment is given but that doesn’t mean that it is the end of the recovery journey. It only calls for positive attitude and patience to try again and again till he gets sober. As a result of all the negative impacts of alcoholism, family members might be going through a lot of negative emotional turmoil. In the case of a child drug addiction, parents and other siblings might take the blame and feel the guilt. They feel as if they are great failures and that they are the ones who contributed towards their child’s addiction. Due to these negative mindsets, many relations are ruined. As a family, ensure that you maintain your sense of self-worth. You may experience a sense of great loss and disappointment but things shouldn’t end here. You must decide to stay positive no matter what because this is the only way you can find help for your ruined relationships. In case of a severe addiction, the society does not want to be associated with the addict. If you listen to them, you will hear a lot and this can drive you mad. Even if the whole world turns against your addicted member of the family, you are the only people who can stand by him and give him the love and support needed. So don’t listen to what they say. It’s not important. Addiction can leave a family that was once united into pieces. There are many family support groups established to help families bring their heads together again. After suffering from a lot of embarrassment and shame as a result of a child or parent in drug / alcohol addiction and placing blames on each other, a family can find a lasting solution to this and recover all the mess experienced. If you need help with family relationship with an addict, feel free to talk to a family counsellor now. You don’t need to keep quite as you silently watch your family burn in fire of resentment and anguish as a result of addiction. Speak out and seek help. Is It Possible To Maintain Sanity And Dignity After Having An Addict In The Family? It is indeed such a trying moment trying to establish strong and healthy relations in a family with an alcohol / drug addicted member. To regain the dignity and sanity that you once had as a family can be a very tough task but it is possible. With the right help and support from your local community drug services, it is possible for every family to overcome addiction while maintaining strong relationships. If you feel like you are going through difficult experiences as a family with an addicted member, call us now, we can help. Can It Be Healthy Being In A Relationship With An Addict? When it comes to drug / alcohol addiction, not many people would want to be in a close relationship with the addict. It can be very painful losing a friendship with someone who used to be very close to you before he started using drugs. Now, you are left worrying whether it is possible to be in a relationship now that he is in an addiction. It is very possible. How? The best thing to understand how to establish this family relationship with the addict is to have a clear understanding of addiction and how addiction has affected relationships. You’ll realise that for the addict, order of priority changes and the drug / alcohol of choice becomes the key priority. Therefore, do not be shocked to find a person who was so loving and active keeps distance and becomes so selfish. What he cares most about is where to find a quick fix for the next dose, and that’s all. So, as you try to rebuild the broken relationship, work at it from a point of understanding. Just know that the person is in a mess that he cannot come out of in a twinkle of the eye. Understand that he is going through a tone of problems and he needs you more than ever. So, even if you feel like he is ignoring you or doesn’t enjoy your company, just know that millions of issues are going through his mind and since he is not sober, he can can’t be in a position to make solid decisions. How Can You Handle An Abusive Addict? Addiction varies and behaviours still do vary. In some severe cases, an addicted member of the family might become physically and emotionally abusive and you wonder how to deal with him. In this case, will you let him go? No! You can motivate him find help. If he is willing, you can go through the process together to ensure that you give him attention and every support needed during recovery. If you feel uncomfortable staying along with an abusive spouse or teenage child who is in addiction, find someone to stay over with you to provide help in case he becomes violent. Talk to the other members of the family and discuss the situation and together you can find a way on how to deal with it. Is Cocaine and Crack the Same Thing?